Canada Day is one of our family’s favourite holidays! We usually celebrate by dressing the part and taking in our local festivities. We attend our community’s pancake breakfast, parade, and fireworks.This year we are having some extra fun by adding some Canada themed activities to our studies as well! Maple Leaf Cookies – make your favourite cut-out cookie recipe or use this one . 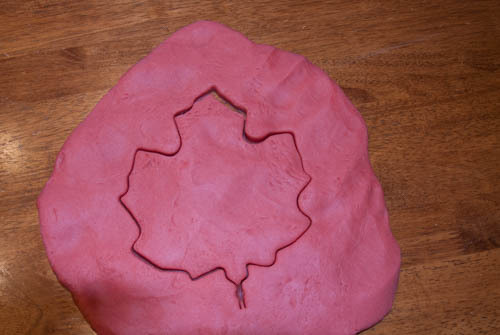 Canada Playdough!– die your usual recipe red or use this recipe from The Chaos and the Clutter. She’s got an awesome method for making playdough that will give your arms a break! This is a super easy project for all ages! My sensory loving 4 year old just loved covering the palm of her hand (and later, both palms!) with the red paint. 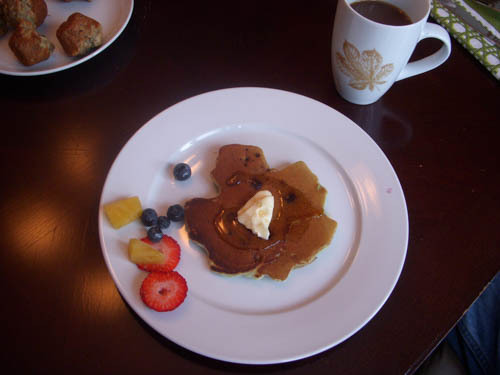 Maple Leaf pancakes – use a mould or a large cookie cutter to make maple leaf shaped pancakes! Don’t forget to use real Canadian maple syrup on them! 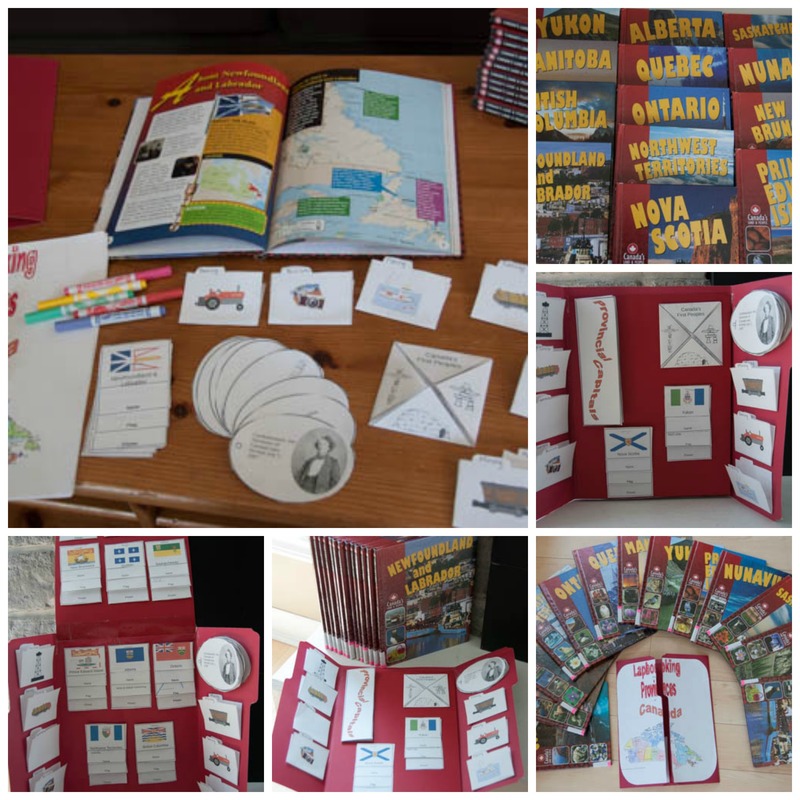 Canada Lapbook – Use my Lapbooking the Provinces of Canada lapbook to add some Canadian content to your homeschool! We had fun exploring provincial flags and flowers, natural resources and industries, and First Peoples coast to coast. Download your own colourful, 24 page lapbook! This lapbook is available for free to my subscribers, enter your email in the box below this post and click “subscribe” to get yours! 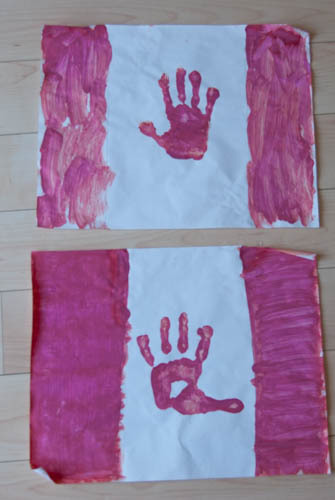 Stop by the Canadian Homeschooler and check out what Canada Day themed activities and resources the other members of the Canadian Homeschool Blogging Team have put together! And link up your Canadian resources below! Thank you so much for sharing my cookie recipe! I am subscribed to your blog. However, I am having trouble down loading your Canadian Province la book. could you please let me know where to find the link. I subscribed and am looking for the Canada lap book printable where is it? After you subscribed, my email service should have sent you an email with the subject heading “Please Confirm Subscription”. After confirming, it will send you another email with “Subscription Confirmed”. That email will have a link to the library and a password to use to access it. I hope that helps!